"Wow! What kind of flower is that?" That was my first reaction when I saw this flower photo on Monrovia's front page. My next thought was, "I really need one of those!" Then I realized it was a peony. 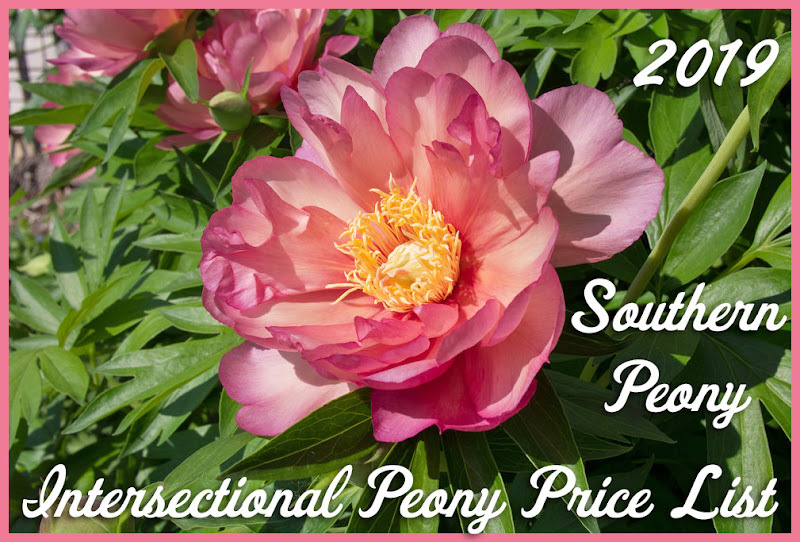 Then I wondered if this was a new peony variety that I'd never seen before. So I clicked around on their site a bit more until I found the mystery peony in the photo on their main page. 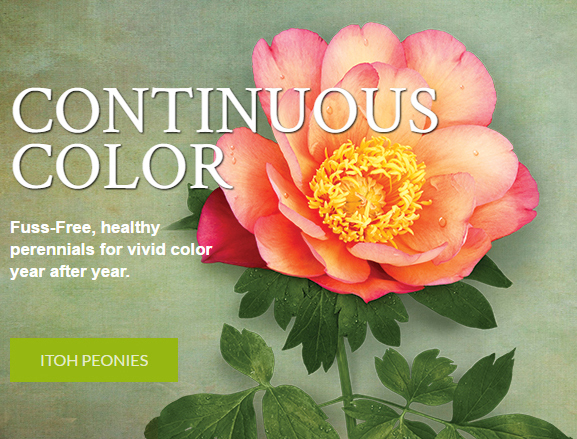 I clicked through to the "Itoh Peonies" section. At first glance, I did not see the mystery peony anywhere to be found. 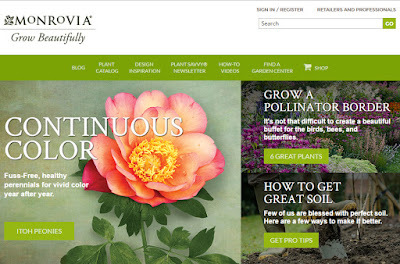 Why would they put a plant on their main page, that they don't even have for sale?, I thought. Then I realized they did have it for sale, and it was on their "Itoh Peonies" page. The flower form and shape was the same, but the colors and background were much different. 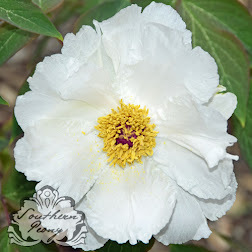 The photo was of Intersectional Peony 'Julia Rose', a plant I already have and grow. I have seen this plant bloom for several years, and yet I did not recognize it. 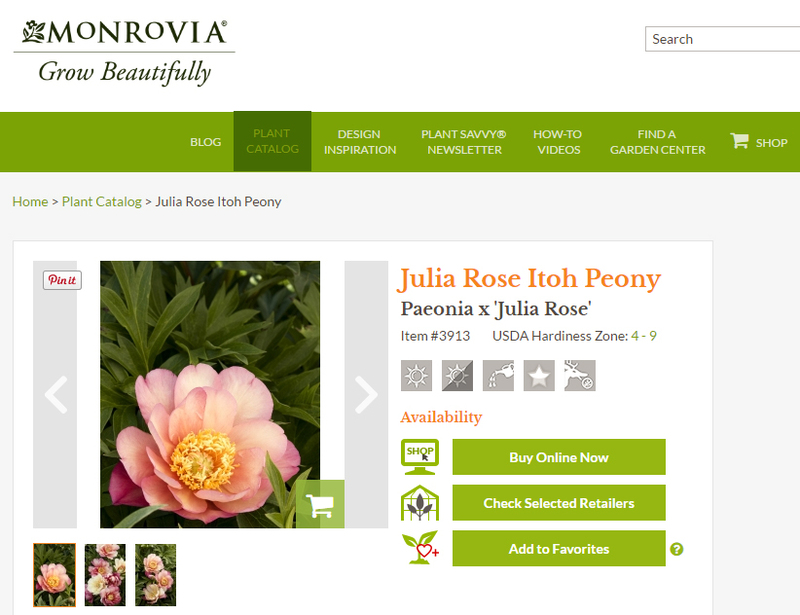 When I clicked on the "Julia Rose Itoh Peony" page, I saw a photo of the plant that looked much more familiar to me. Obviously the photo had been photoshopped. Why would they have altered the photo so much to make the plant unrecognizable? Sure the photo on the main page is gorgeous, but it doesn't exist. Are altered photos just a harmless way to help the flower industry grab the attention of people enough to get them interested? Or do they hurt the flower industry by promising something that's unattainable? What do you think?